The new millennium has brought with it plenty of its own identifiable trends: stainless steel appliances and tall or flexible faucets are standard in new houses. 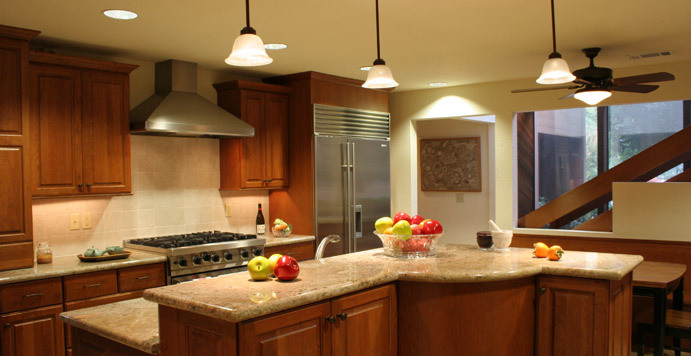 But even though some kitchen design trends come and go, there are some renovation standards that will be with us for a very long time in any modern, renovated kitchen. A 2013 survey by Houzz showed that while many people didn’t want a larger kitchen, 77% wanted them to be more open to other rooms. Still, 37% of those surveyed did want to enlarge their kitchen. 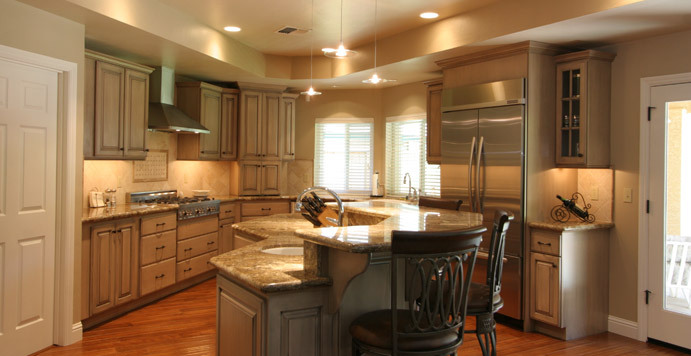 When our clients want to enlarge their kitchen, we have to find out what other space they’re willing to sacrifice. Or, if they’ve completely run out of room, if they’re going to want to add on to their home. While this is completely within our experience , you might find that it adds significantly to the time and cost. 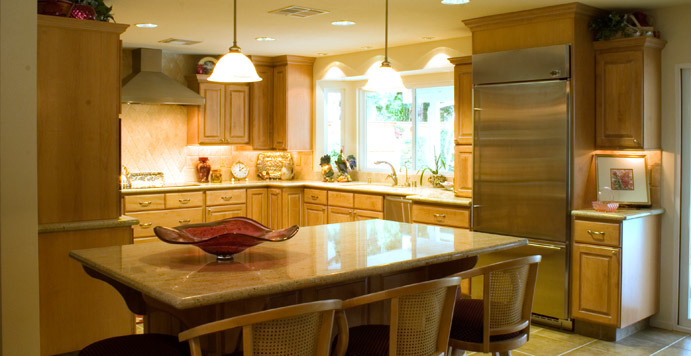 Let our very clever, experienced Interior Designer take a look at your home to see if the kitchen can either be expanded, incorporate a nearby room, or just get an improved look and feel to make it function better and be more open to the rest of the home. The stereotype might be that families spend less time together than ever, but the kitchen is still a gathering place. 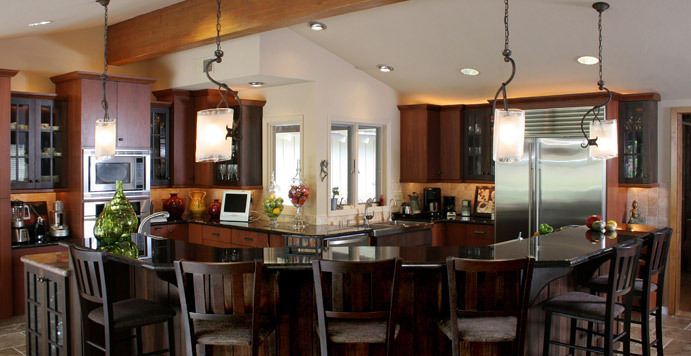 With the larger and more open-concept kitchen trend, there’s more going on in the kitchen. It serves as a place to cook, socialize, and entertain. We don’t know why everyone seems to end up in the kitchen during parties, we’re just happy to design a space worth hanging out in. Kitchens are also part of your entertainment space as evidenced by the number of people want to watch TV in the kitchen. You can buy (and we can install as part of your redesign) TV’s specifically designed to fit under your kitchen cabinets. The mobile trend, whether a table or laptop, means that more homework than ever before can be done in the kitchen. Within convenient arms-length of the refrigerator. Always a bonus for teenagers and a good way to spend a little more quality time, even if they have their nose buried in their mobile phone. 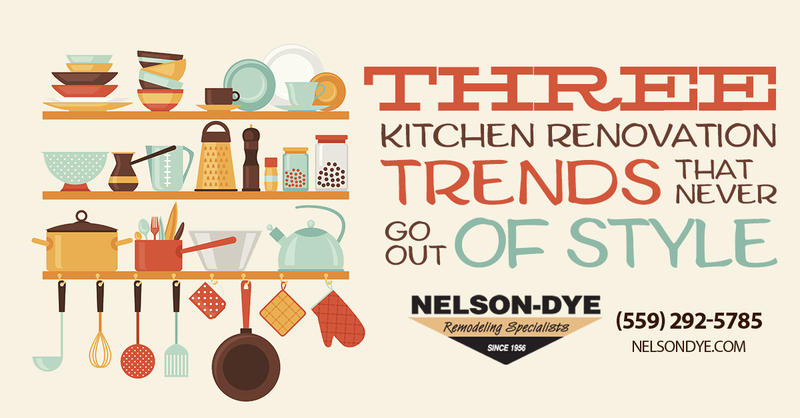 With so many clever kitchen gadgets (like the must have “selfie” toaster) and actually useful items like stainless bowls and silicon baking sheets, home owners want more storage than ever in their kitchens. Our cabinet partners, Omega Cabinetry, Dynasty by Omega, and Crystal Cabinetry give us incredible options for deeper drawers and clever built-in storage. We’ve incorporated items like a custom wine cabinet into a kitchen island. And, the kitchen island itself gives you plenty of storage options. If you’ve got the room, our Interior Designer can make it an incredible work/storage space to make your kitchen renovation add even more function to your home. While some trends come and go before you even knew they were a thing, there are some kitchen renovation design trends that will never go out of style. Perhaps because they aren’t so much a “style” as they are a way to support and enhance your lifestyle. Want to see what we could do to your kitchen to make it bigger, smarter, more social, and something you’ll love for a very long time? 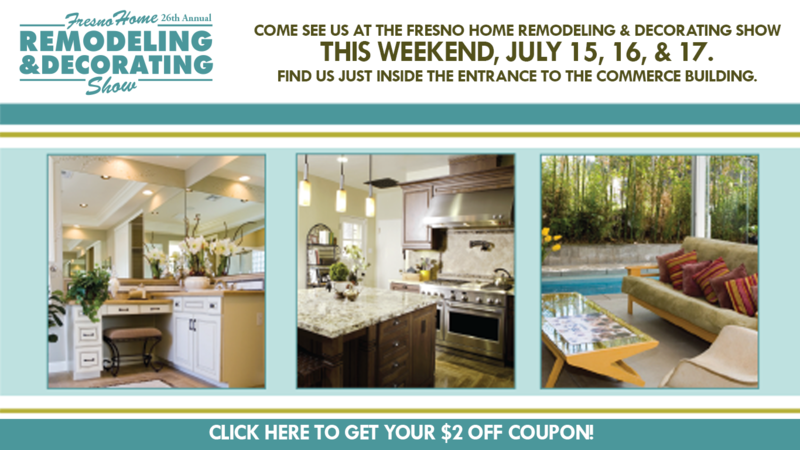 Call us for a free kitchen renovation consultation and quote at (559) 292-5785.